Asia-Pacific’s emerging health and innovation hub, the 200-hectare Gold Coast Health & Knowledge Precinct (GHHKP), incorporating Griffith University’s Gold Coast campus, is a unique global business location for high-tech industry development, research collaboration and jobs of the future. The GCHKP integrates Griffith, the $1.76 billion Gold Coast University Hospital and the Gold Coast Private Hospital with the Gold Coast 2018 Commonwealth Games Athletes Village, to be developed post-Games into a vibrant $550 mixed-use community to live, work and learn. 9.5 hectares of land surrounding the residential community are being developed to attract health and innovation commercial investment by leading national and global companies, with a quarter of available lots already earmarked for developments worth almost $200 million, post-Games. Once completed, the GCHKP is st to create over 26,000 jobs – 11 per cent of current Gold Coast jobs, generating gross value of $2.9 billion for the city’s economy. 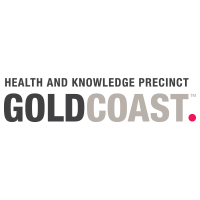 Contact Gold Coast Health & Knowledge Precinct (GCHKP) NOW! At Gold Coast Health & Knowledge Precinct you’ll enjoy lots of benefits, like world class training and the opportunity for career advancement. Asia-Pacific’s emerging health and innovation hub, the 200-hectare Gold Coast Health & Knowledge Precinct (GCHKP) is a unique global business location for industry development, research collaboration and jobs of the future.